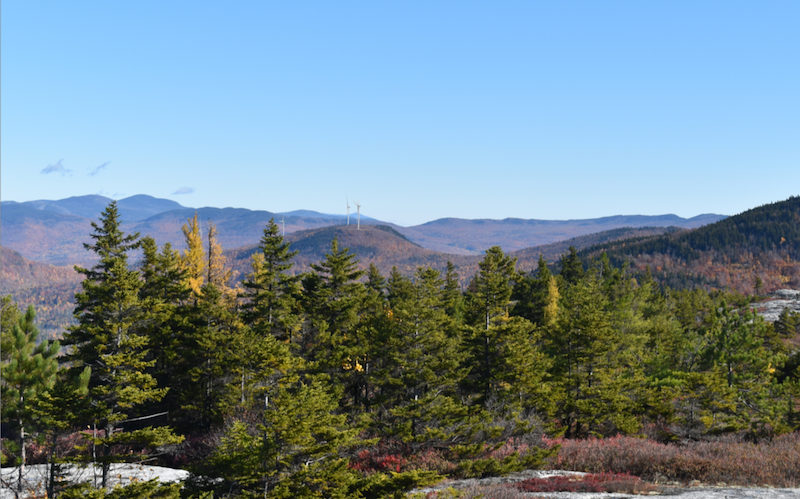 Panoramic view looking northeast from the summit of Whitecap Mountain in Rumford. This viewpoint is located on the publicly accessible portion of the summit owned and managed by the Mahoosuc Land Trust. 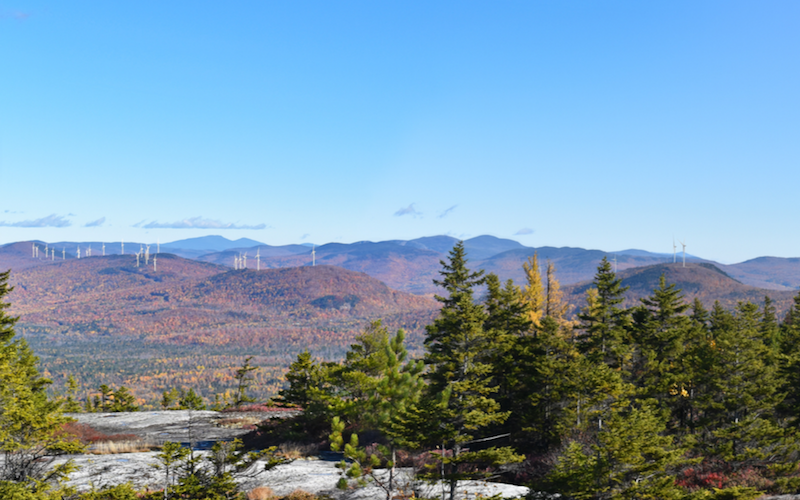 All 22 Record Hill Wind turbines are visible from this viewpoint at distances of 4.6 to 7.8 miles. All four proposed RoxWind Project turbines will be visible from this viewpoint at distances of 3.5 to 4.2 miles. the summit of Whitecap Mountain (owned and managed by the Mahoosuc Land Trust) in Rumford. All four proposed RoxWind Project turbines will be visible from this viewpoint at distances of 3.5 to 4.2 miles. A portion of the cleared area around the southern most turbine will be minimally visible from this viewpoint. 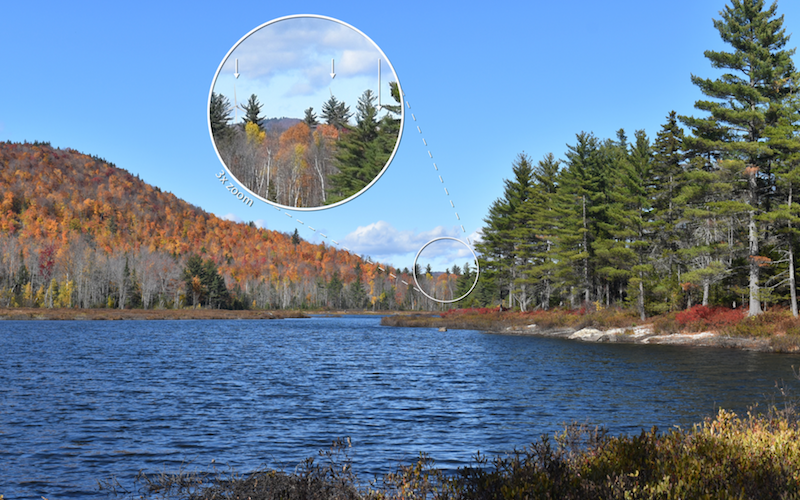 ​Normal view looking north from Joes Pond in Rumford. The blades and nacelles from one turbine and the blade tips from another two turbines in the proposed RoxWind Project will be visible at distances of 6.2 to 6.5 miles.